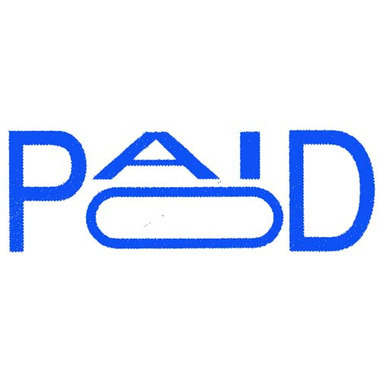 Self-inking Ecoprinty Stamp prints the word "paid" in blue (with space for date). Features high quality casing mechanism and long-life, replaceable ink pad cartridge. Replacement ink cartridges (sold separately) make changing ink colours easy. Cartridges are nontoxic and water-based, providing hundreds of thousands of crisp, clean impressions. Stamp offers a small size and is made from 75 percent post-consumer recycled material (excluding transparent parts, pad and die plate). All recycled materials are certified free of lead, cadmium or other heavy metal contaminants.